As soon as your baby crosses five months, you’ve probably started thinking about the exciting milestone that’s coming up – starting solids! Many communities even celebrate this occasion with a little family function – it’s that important! 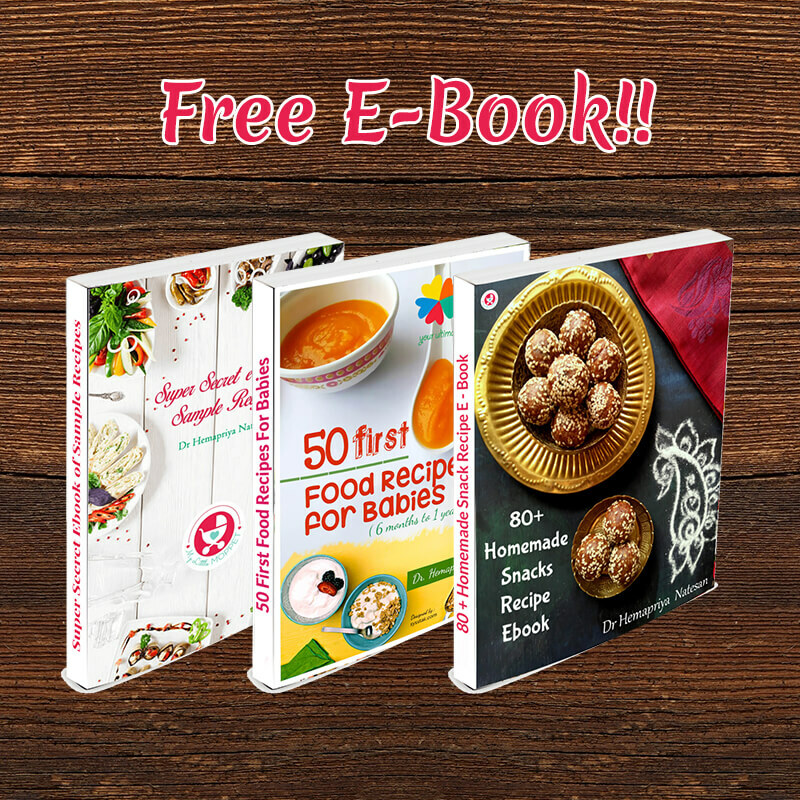 For most Moms, deciding when to start solids is fairly easy, but putting together a menu for a 6 month old can be tough. 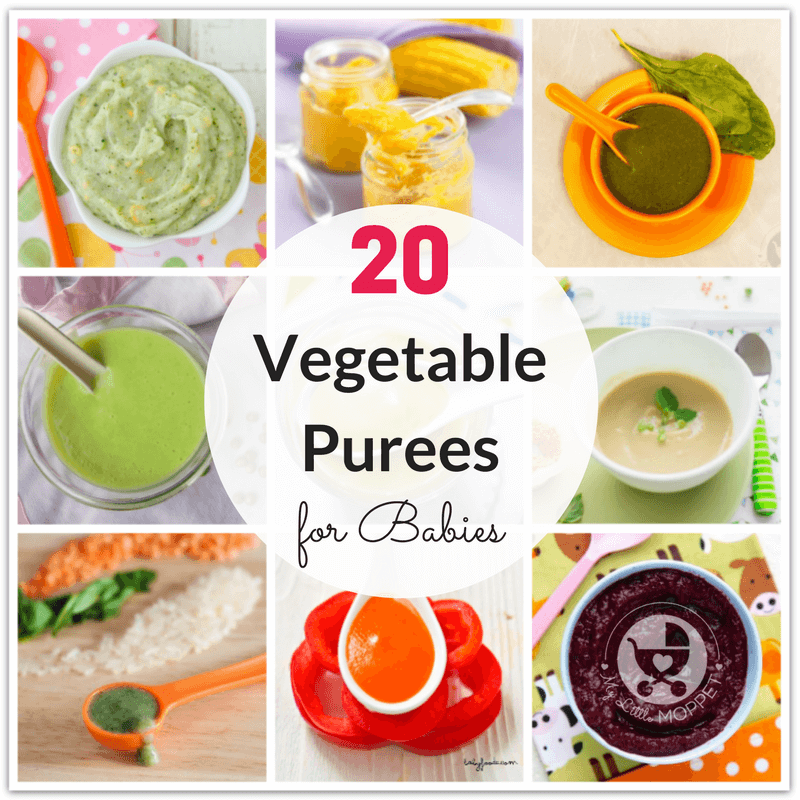 That’s why we’re here to help with our list of 20 easy vegetable purees for babies that can be made at home! 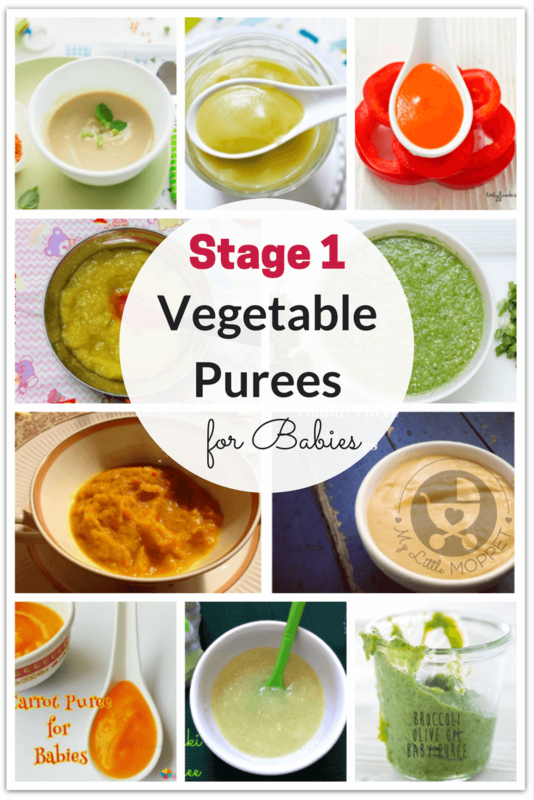 For young babies, the most obvious choices of food are cereals and fruit or vegetable purees. 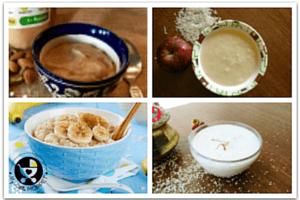 You can check out our list of 10 delicious fruit purees for babies as well as our complete stock of baby cereals. So what’s missing? Vegetables! You’ve heard of Moms grumbling about how their kids don’t eat enough vegetables and instead pick all the greens out of their plate. You can avoid this problem later by taking the right step now – introducing your baby to a wide variety of vegetables! Potato Puree makes an excellent first food for babies. It has a soft consistency,easily mashable and it is the least allergenic food. Start with little quantity as some babies may develop tummy upset due to gas. This is also the best vegetable to combine with other veggies. Sweet potatoes have a high fiber content and are a good food to try to prevent constipation in babies. Sweet Potatoes also tend to release energy slowly so this is a good option at dinner to ensure your little one doesn’t get hungry during the night. Carrots are naturally sweet, which make it more readily accepted by little babies! The orange color indicates the presence of beta carotene, which means healthy eyesight for your little rabbit! Besides being rich in fiber and antioxidants, pumpkin also has anti bacterial properties and kills intestinal worms. 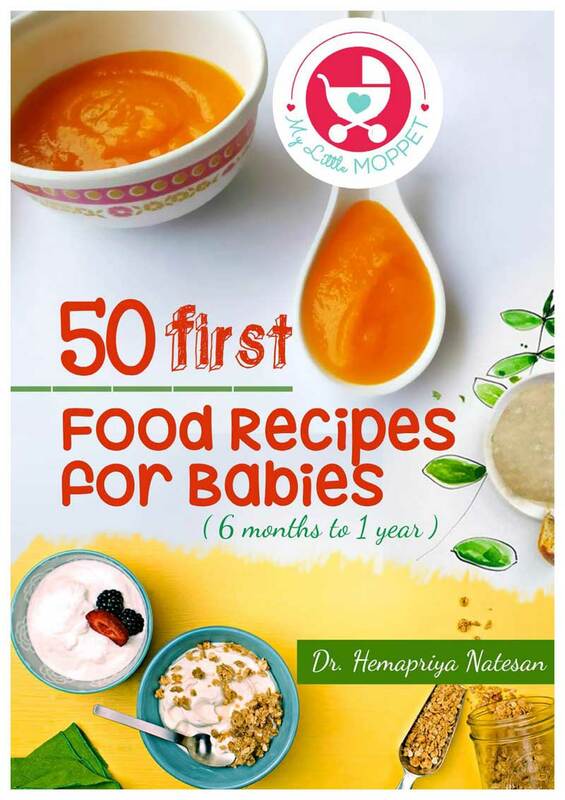 This is an ideal first food for babies, more so because it has a soft lovely consistency when cooked and is easily mashable. French beans are an excellent source of plant derived micro nutrients, minerals and vitamins like A, B1, B6 and C. This makes them a must have vegetable for babies. Steaming the beans and potato gives it a nice creamy consistency. Red lentils are very easy to cook and make the perfect ingredient for a puree! This recipe from Au Petit Gout uses shallots to add an interesting twist. Skip the salt and go for spices instead. Red pepper is not a common choice for stage 1 baby purees, but it shoudl be! 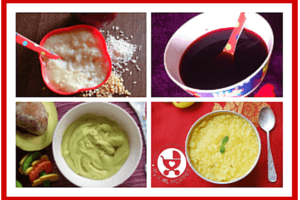 Baby Foode shows you how easy it is to make this antioxidant rich and gorgeous lookking puree! Being non allergenic, bottle gourd is one of the perfect foods for weaning babies. With a water content over 90%, it promotes easy digestion and relieves constipation. So no more hard poop! Zucchinis are increasingly available in the Indian market, so this recipe from Parent Hub must be easy enough to make! 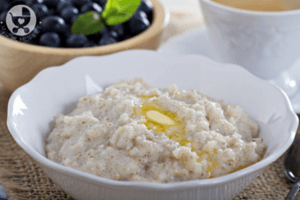 With a high water content and good fiber, this is an easily digestible stage 1 vegetable puree. Leeks aren’t very common in Indian households, but they are available in specialty supermarkets. If you find some fresh leeks, then go ahead and give your baby a taste of international cuisine! Baby Foode has a lovely simple leek puree recipe that uses the white and light green parts only. Green peas are rich in calcium, iron and Vitamins A and C. You can give your baby all these nutrients in the form of this yummy green peas and potato puree. This is a super protein dish so let those little muscles and bones grow! It’s a good idea to have a variety of oils in your home to ensure maximum nutrition. 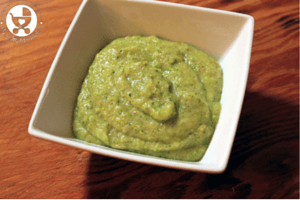 This broccoli olive oil puree from baby foode is perfect to add some variety to your little one’s menu. This dish is good for babies above 8 months. This combination of root vegetables is great for little babies who are used to potato puree. Beets are rich in iron and help to boost immunity, so be sure to include this in your little one’s diet! Once your baby is used to most vegetables, you can introduce cauliflower. Once you’re sure it doesn’t cause gassiness, you can go ahead and make this delicious puree from Little Mashies! Beetroots are a great vegetable for babies, considering their high antioxidant content. The rich color is another attractive factor for babies! Try out this recipe from Weelicious, that includes baking the beets for a lovely flavor. Annabel Karmel has a nutritious and bright colored puree that’s great for stage 2 babies. Leave a little lumpiness in the puree for more texture. Substitute the milk in the recipe with breast milk or formula for babies under 12 months. 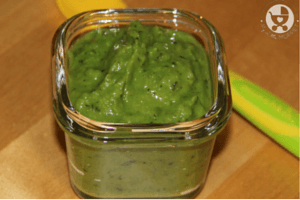 Now this is a nutrient and antioxidant rich green puree! 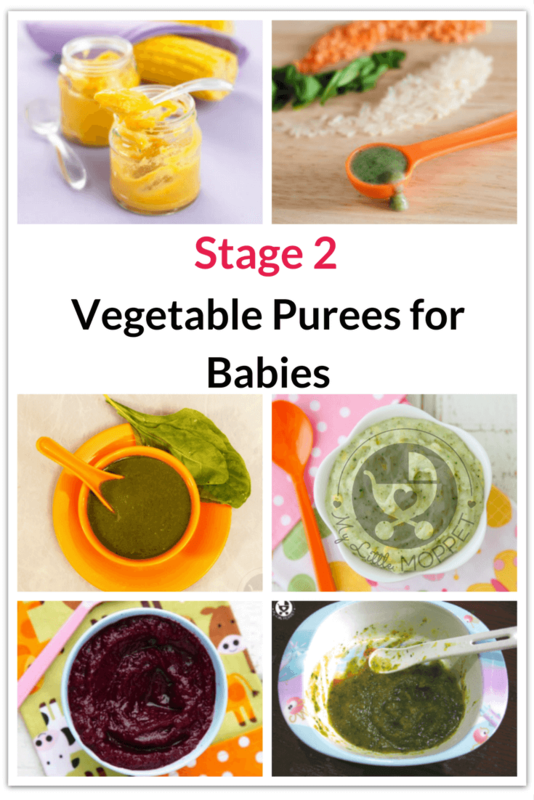 With broccoli to strengthen the immune system and spinach that’s good for the eyes, this is a must try vegetable puree for your baby! Carrots are among the first vegetables fed to babies, and the addition of palak makes this even better! Spinach can contain oxalates and nitrates, which is why it’s not suitable for babies under 8 months. The cumin adds the perfect zing to this puree! Now this is a delicious combination from Weelicious! 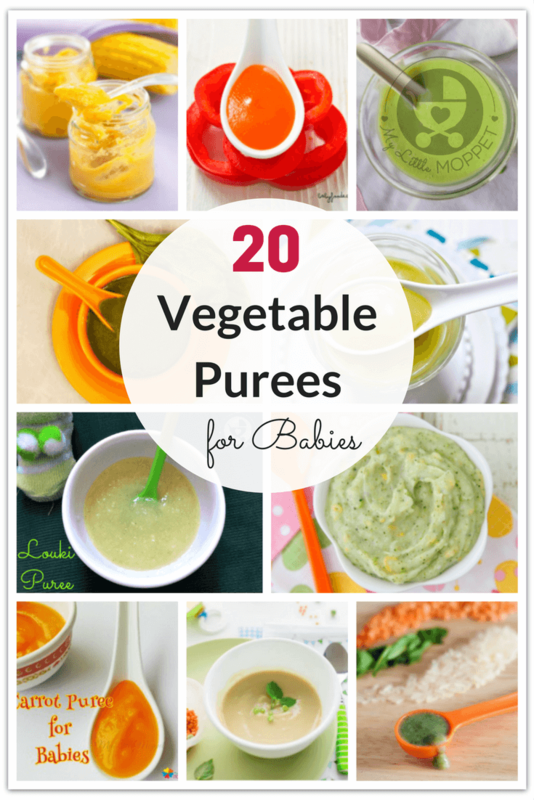 Use fresh cheese to make this puree and ensure that your baby is used to cheese first. Keep some lumpiness in the broccoli for older babies. Get your little one used to khichdis with this lentil spinach and rice puree from Little Mashies. The quantity in the recipe is a lot, so you can cut it down. Use homemade vegetable stock for best results. When introducing any new food for baby, don’t forget to follow the 3-day rule to rule out any allergies. It’s advisable to follow the recommended ages for each vegetable. Also take care of choking hazards. Start with soft and smooth purees and increase the lumpiness gradually. Always try individual vegetables first before combining them. You can also mix individual veggie purees with cereals or cooked rice to create unique combinations. And don’t forget, you can always add organic spices to make things interesting! This is very informative n I had got many ideas for baby to start with her first food but can u pls suggest some food ideas for my daughter as she is Down syndrome baby. I need to control her thyroid also .so pls help me out for this. 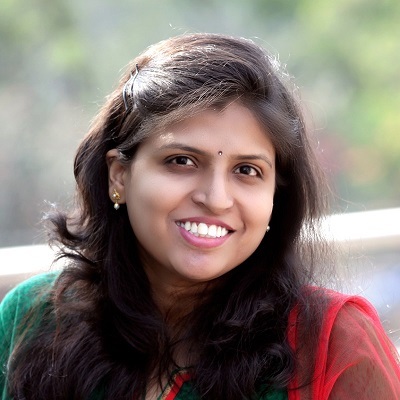 Dear, has the doctor specified any foods that need to be avoided? else a healthy wholesome meal is a good option.  You can check the site for various options based on little one’s age.